The first Oral Health Tracker was launched in 2018 and was developed by a team consisting of dental academics, clinicians, policy experts, researchers as well as public health experts. The report depicted some cause for concern over the state of oral health in Australia. The purpose of the tracker was to conduct a survey on the state of oral health on the populace of Australia and thereafter give some recommendations. Most shockingly, the resultant report showed that at least 90 percent of adults had some form of tooth decay at the time when the report was being conducted. The habits of the populace further exacerbated this. Excessive alcohol consumption, as well as smoking habits have further contributed to the population’s poor oral health. Furthermore, with increased consumption of cannabis, smoking has increased significantly in the population. The report also found that about 49% of adults (ages 18 to 35 years) did not brush their teeth twice a day. However, the report showed that women were more likely to feature in the 51% of people who brushed twice daily. Brushing habits became even worse as people got older. Dentists even theorise that the increased rate of tooth decay combined with the poor oral care habits could even lead to oral cancer if left unchecked. This could also lead to premature death. Also, at least 15.5 percent of adults had severed tooth loss. These adults had fewer than 21 teeth rather than a full adult set teeth of 32 teeth! Regarding children and youngsters, oral care also showed some cause for concern. At least 75 percent of children were deemed to consume too much sugar. Furthermore, at least 33 percent of 5-year-old children had decay in their baby teeth. Dentists claim that this may lead to poor oral care over the lifetime of the children. Generally, dentists attributed poor oral health to poor oral health as well as the fact that most individuals only visit dentists once they have a significant problem. They also stated that some individuals did not have access to medical care. Finally, experts feel that Australians do not understand the correlation between sugar and the formation of cavities. Experts stated that the solution for most Australians is quite simple: if they undertook good oral hygiene (i.e. brush at least twice a day), reduced their sugar intake and made an effort to visit their dentist at least twice a year then a good chunk of the oral issues would disappear. 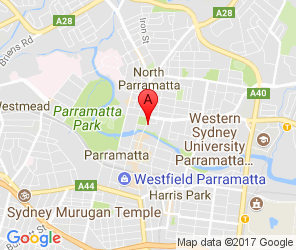 So if you haven’t been to your local dentists such in Paramatta, it would be a good idea to book an appointment asap. Furthermore, since the oral state of individuals with age, experts suggested a program to assist the elderly (such as the Child Dental Benefits Schedule). This program would give them an allowance to visit dentists and therefore be able to take care of their teeth better.